Move modestly. No garish makeup. Don loose and unrevealing clothing. Those are some of the new rules for Iranian models, who have been told not to attract too much attention during fashion shows. Makeup is a no-no under the new guidelines. The orders, handed down by the Culture and Islamic Guidance Ministry and published this month, are intended to promote Iranian and Islamic designs and stave off the influence of Western culture. Live models "should avoid any behavior that would distract visitors' attention from the clothes put on display," according to the eight-part "Guideline For Fashion And Dress Shows." "Models are not allowed to show off the curves of their bodies, and their hair should not be seen," the document reads. "The wearing of tight and body-hugging clothes and types of makeup that are incompatible with Islamic and Iranian culture are prohibited." Musical accompaniment must be "well-matched to Islamic and Iranian culture," and should not prompt models to move or walk in an inappropriate manner. And the fashion-show runway, better known as the catwalk? That's been banned altogether, since it's been deemed a slavish imitation of foreign culture. 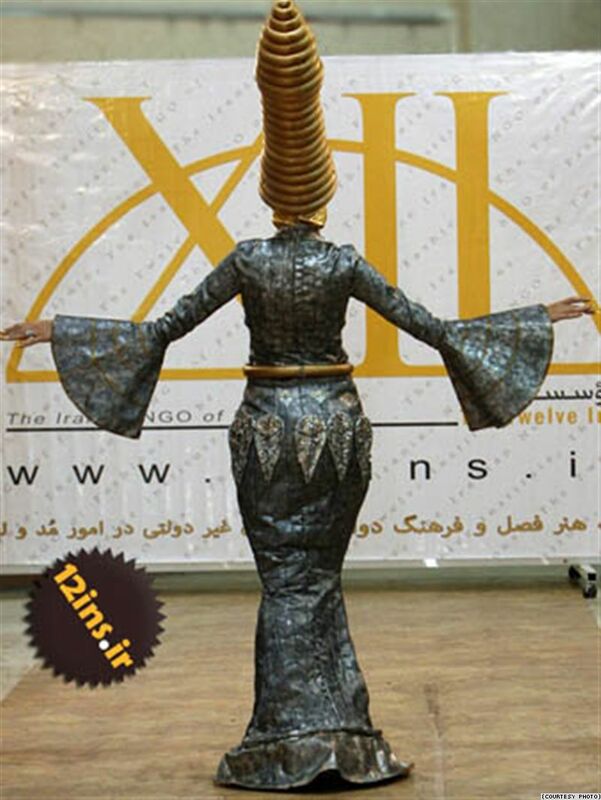 It was only two years ago that Iranian fashion houses were first allowed by the Islamic establishment to use live models to exhibit their collections. Prior to that, new clothing designs were displayed on mannequins or hangers, with dark colors long the preferred option. Iran's strict dress code prohibits women from showing their ankles. Restrictions have been relaxed enough to allow for brightly colored chadors, but women in Iran are still required to cover their heads and wear long and loose-fitting clothing to disguise their figures. Exposing an elbow can lead to a jail term, and showing too much hair is a punishable offense. Depending on the severity of the infraction, punishments can include fines, lashings, and even several weeks of jail time. Many women push the boundaries by wearing tight trousers and short overcoats, but morality police stationed at busy Tehran streets and in shopping centers -- including female officers clad in all-enveloping chadors -- serve as a constant reminder of the risks involved. Women aren't the only ones targeted. Men, too, take their share of punishment for wearing Western-style haircuts or other offenses. One young man, a graphic designer from Tehran who has spent time in detention at the order of the morality police, describes his own experiences as almost laughable but for the severity of the consequences. "Having to run from police because of the way you are dressed must look very funny to others," he says. "We had to put up with a lot as young boys. We had to run fast, fearing that police would detain us because of our clothes." Noting that women and girls are under greater scrutiny, he acknowledges that many accept the hijab as part of their culture. "But for many others, especially in Tehran -- it was forced," he adds. "In our country, people wear what they are told to wear -- women cover their heads and bodies," he says. "Dictating to people what color to choose, punishing them for the width of their clothes, or arresting men for shaping their eyebrows is really too much to take." That young Tehrani's argument is likely to fall on deaf ears among Iranian officials -- many of whom consider Western culture as an attack that should be resisted at any cost. The new guidelines stress that women's curves should not be accentuated. For example, Culture and Islamic Guidance Minister Hossein Saffar Harandi upon his appointment promised to crack down on foreign music, such as rap and rock, which he said were against Iranian values. As for fashion, high-ranking officials and conservative parliamentarians have been quoted as saying they don't want Iranian youths' idea of fashion to be tainted by Western magazines and satellite channels. Such sentiments were largely the reason officials began encouraging homegrown fashion houses to promote Iranian and Islamic styles in the first place. Now, some Iranian designers are saying that the entrance of the latest restrictions are complicating and confusing their work. 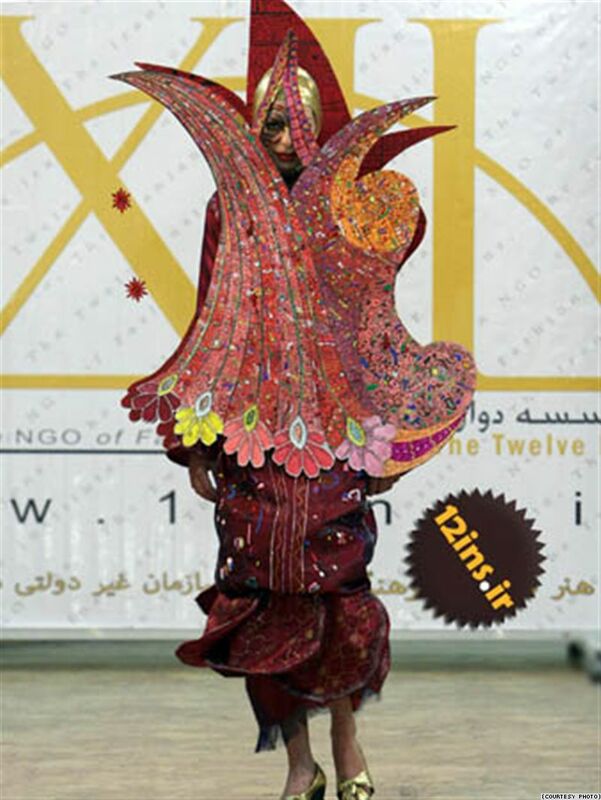 Tehran-based designer Shahkoopa Furuzon tells RFE/RL's Radio Farda that the Culture and Islamic Guidance Ministry's new fashion-show guidelines are "all about security, rather than culture." She singles out one requirement in particular, saying that requiring official approval for all projects six months before fashion shows represents an insurmountable obstacle. "As a designer, I can't wait six months to get approval," she says. "I prepare my new designs and, as soon as the season comes, I have to put them on display." Many Iranian designers and their customers appear reluctant to follow the fashion dictated by what they call "security services" -- leading them to eye locales abroad that offer freedoms not allowed under the new Iranian guidelines. "With all of these rules here, I prefer to organize my fashion shows in Dubai," Furuzon says, "because I don't need all these headaches."